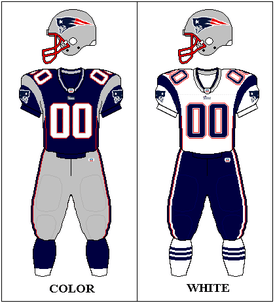 The 2000 New England Patriots season was the 31st season for the team in the National Football League and 41st season overall. They finished with a 5–11 record and in last place in the division. Following the firing of three-year head coach Pete Carroll in January, Patriots owner Bob Kraft pursued Jets assistant head coach Bill Belichick for the Patriots' head coaching vacancy. Belichick, who had been an assistant coach under Bill Parcells with the Patriots in 1997, followed Parcells to the Jets after that season and was contractually named Parcells' successor. A day after the 1999 season, Parcells resigned as head coach of the Jets and made his second retirement from NFL coaching. Belichick, who had been assistant head coach of the Jets, became the Jets' next head coach. The following day, at a press conference for his hiring, Belichick wrote a resignation note on a napkin ("I resign as HC of the NYJ. "), and proceeded to give a half-hour resignation speech to the press. Despite rumors that he had been offered the Patriots' vacant head coaching position, Belichick cited the Jets' uncertain ownership situation following the death of owner Leon Hess earlier that year as the reason for his resignation. The Jets denied Belichick permission to speak with other teams, and as had happened in 1997 with Parcells, the NFL upheld Belichick's contractual obligations to the Jets. Belichick then filed an antritrust lawsuit against the NFL in federal court. After Parcells and Kraft, talking for the first time since Parcells' resignation from the Patriots, agreed to settle their differences, the Patriots and Jets agreed to a compensation package to allow Belichick to become the Patriots' head coach. With the deal, the Patriots sent their first-round pick in the 2000 NFL Draft and fourth and seventh-round picks in the 2001 NFL Draft to the Jets, while also receiving the Jets' fifth-round selection in 2001 and seventh-round pick in the 2002 NFL Draft. Belichick restructured the team's personnel department in the offseason, and later proclaimed that the team "could not win with 40 good players while the other team has 53," after a number of players showed up out of shape for the start of training camp. The Patriots went on to finish the season 5–11, finishing last in the AFC East and missing the playoffs for the second straight season. As of 2015, this represents the Patriots' most recent losing season. ↑ The Patriots' received the St. Louis Rams' fifth-round pick in 2000 as part of a trade for Mike Jones in 1998. ↑ Take That! (p. 2) Football Digest. Accessed December 16, 2007. ↑ The Buzz: Bobby's world isn't all bad The Virginian-Pilot. Accessed December 16, 2007. ↑ McEntegart, Pete (July 28, 2006). "The 10 spot". Sports Illustrated. Retrieved February 13, 2010. 1 2 3 4 Take That! (p. 3) Football Digest. Accessed December 16, 2007. ↑ "Patriots fire Grier". Associated Press. The Standard-Times (New Bedford). May 2, 2000. Retrieved June 1, 2008. 1 2 Freeman, Mike (July 26, 2000). "PRO FOOTBALL; Belichick Has Patriots' Ears; Now the Hard Part". The New York Times. Retrieved June 1, 2008.